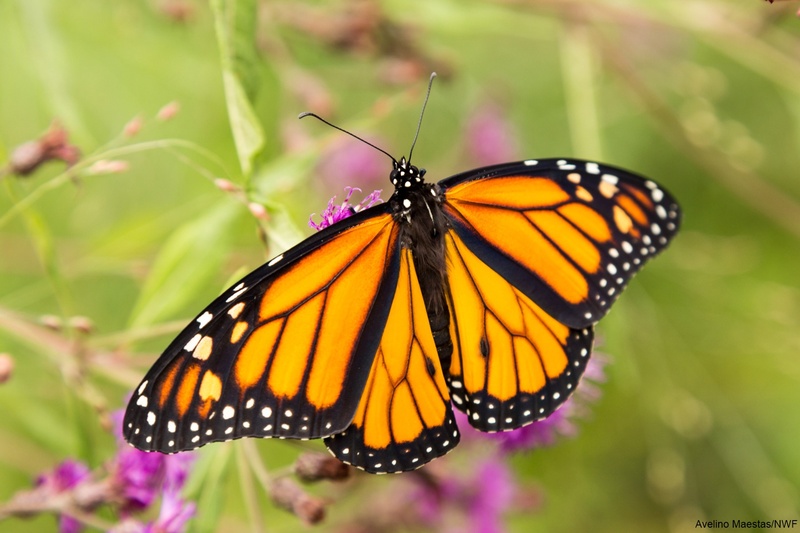 Monarch butterflies have been in the news quite a bit recently, due to their rapid decline. 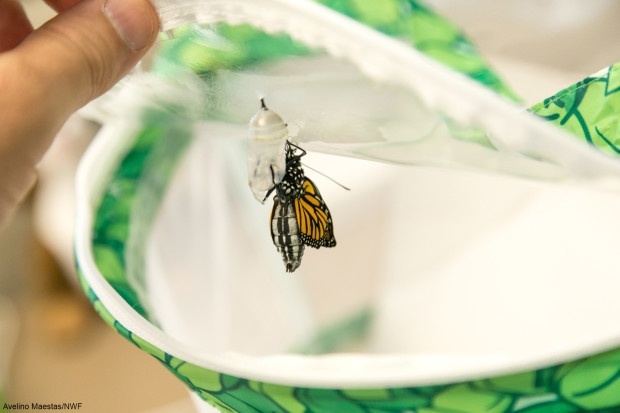 In order to find ways to help, it’s essential to first understand the life cycle of monarchs. 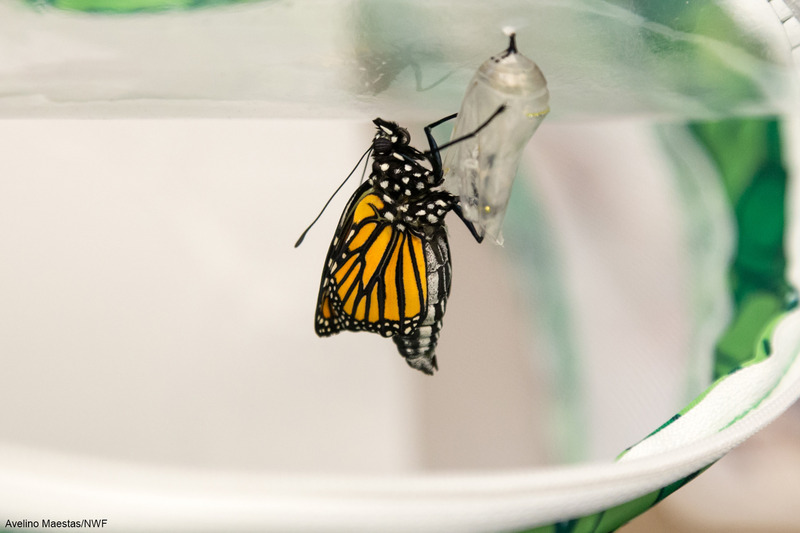 When adult monarch butterflies migrate from their overwintering grounds in spring, the females begin a search for a suitable place to lay their eggs. 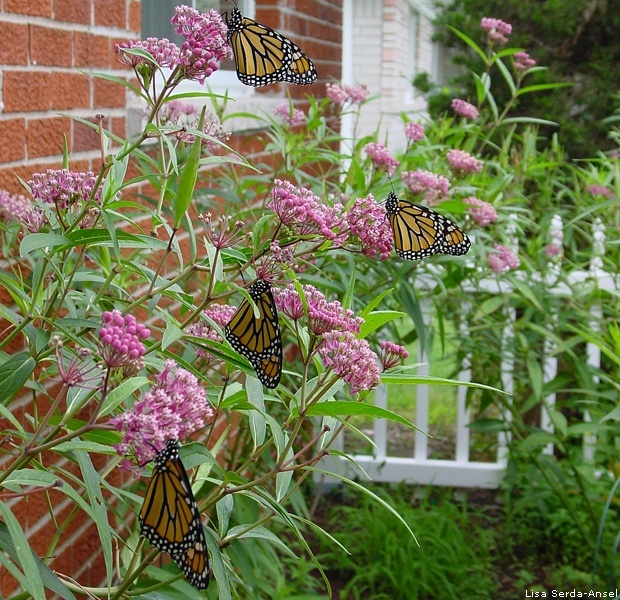 Female monarchs lay their eggs exclusively on milkweed plants, one of the critical roles it plays in monarch survival. Female monarchs will actually taste the leaf to make sure it’s suitable milkweed, before laying her eggs. 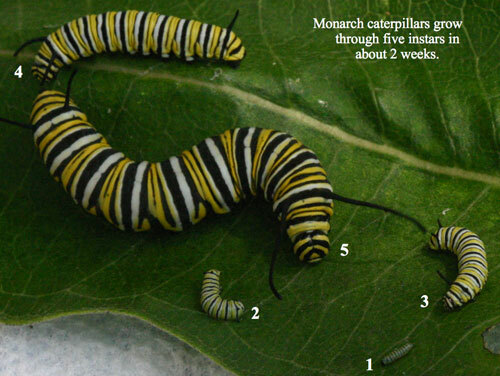 Let’s take a visual journey through the monarch life cycle! Milkweed is essential to monarch survival at each stage of their life cycle. This photo shows newly emerged monarchs drying their wings on milkweed in Missouri. Photo by National Wildlife Photo Contest entrant Lisa Serda-Ansel. 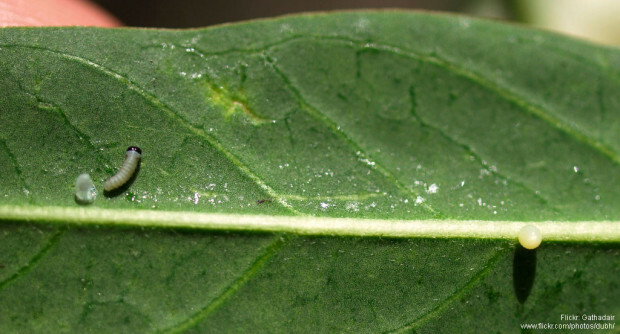 If you take a close look at milkweed pods and leaves in your garden, you may find monarch eggs. And if you find one, there are likely more. Female monarchs lay between 400 and 1200 eggs throughout their lifetime. It takes about four days for an egg to hatch. 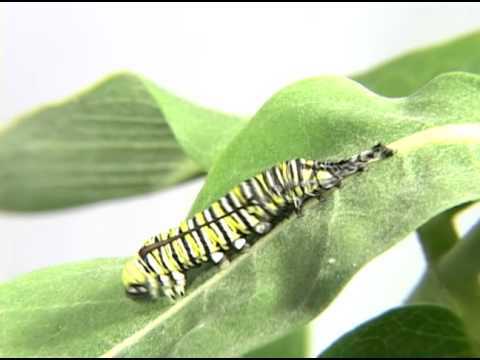 The monarch hatchling will eat its eggshell, which is filled with nutrients, and then the milkweed leaf. A monarch caterpillar hatchling and egg. This photo, “one hatched, one egg” is copyright (c) 2009 Gathadair and made available under a CC BY-NC 2.0 license. 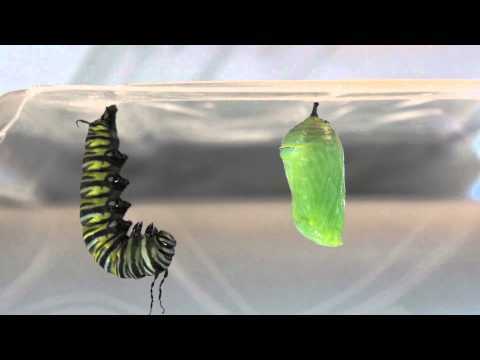 Once the caterpillar hatches, it grows rapidly. It’s estimated that in two weeks, the caterpillar will be 3,000 times larger than the day it hatches. Monarch caterpillars shed their exoskeleton (or molt) as they grow. The black thing that pops off at the end of the video is the head capsule. When the caterpillar is fully grown, it will find a suitable place to make its chrysalis. It will attach a wad of silk and hang from it, upside down (in a “J”). It spends approximately 18 hours in this position (depending on environmental factors). As you can see in the video, the exoskeleton splits near its head and the caterpillar wiggles to discard it. 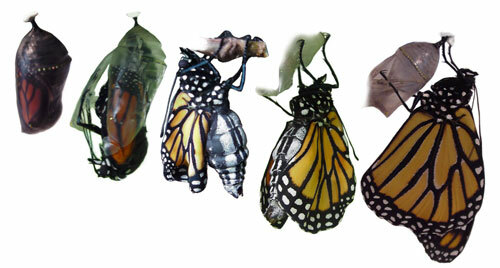 As the monarch sheds its exoskeleton for the final time as a caterpillar, it forms a chrysalis. 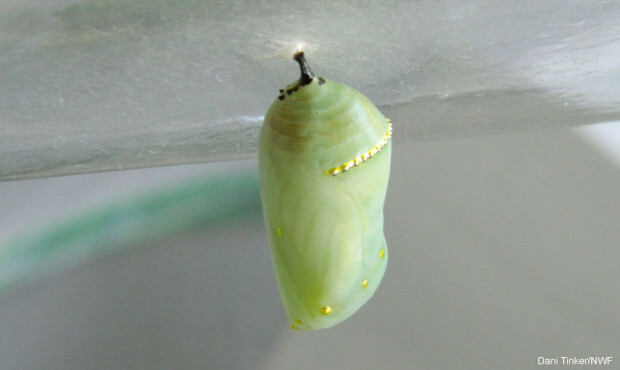 Inside the chrysalis, the caterpillar begins its transformation into a butterfly. The first few hours of the chrysalis (pupa) stage is delicate, as the exoskeleton is soft and weak. Monarch chrysalis by Dani Tinker. Monarch chrysalis by Avelino Maestas. After 8-10 days, you’ll see the monarch wing colors and patterns quite clearly. This is when the monarch is ready to emerge from the chrysalis (eclose). The monarch pushes its way out, and grabs hold of the exoskeleton. At first the monarch looks unbalanced, with a huge abdomen and tiny, folded wings. Within minutes the wings expand to their full size. The butterfly waits about an hour or so to dry its wings and prepare for flight. Monarch Eclosing © Ba Rea 2011. Monarch emerged from the chrysalis by Avelino Maestas. 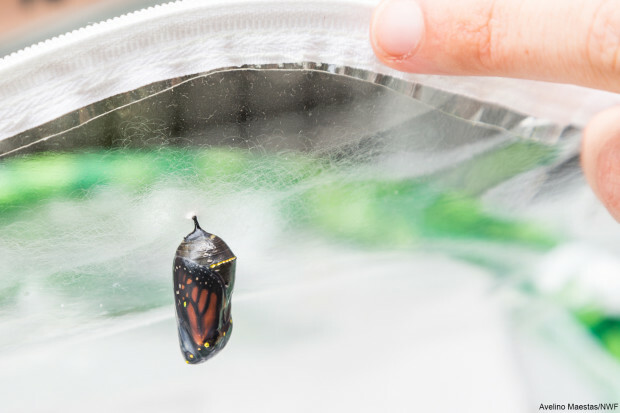 Monarch being released after emerging. Photo by Avelino Maestas. Monarch spreading its wings, preparing to fly. Photo by Avelino Maestas. Last week we were able to capture the transformation of two monarchs at the NWF headquarters in Virginia. The pictures are of us releasing the newly emerged butterfly. I desperately wanted to capture the first flight on camera, but the attempt ended in failure. The monarch sat patiently for quite some time, and I began to film close-up. Of course, as soon as I zoomed in and let my guard down, it flew off. The video is below for your entertainment. We can all help by educating others and planting milkweed. You can get a free butterfly garden starter kit by pledging to be a Butterfly Hero. If you’d like to learn which species are native to your area and purchase plants, Monarch Watch’s Milkweed Market, the Xerces Society’s Project Milkweed or NWF’sAmerican Beauties native plant program are great places to start. 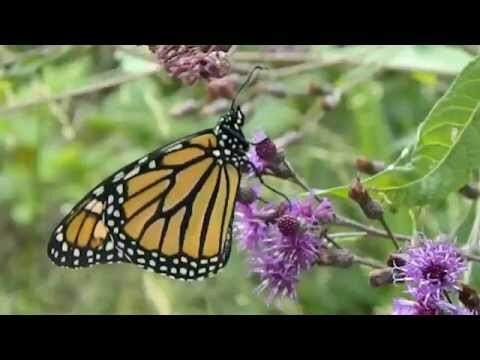 There are some additional things gardeners can do to help prepare monarchs for their migration. 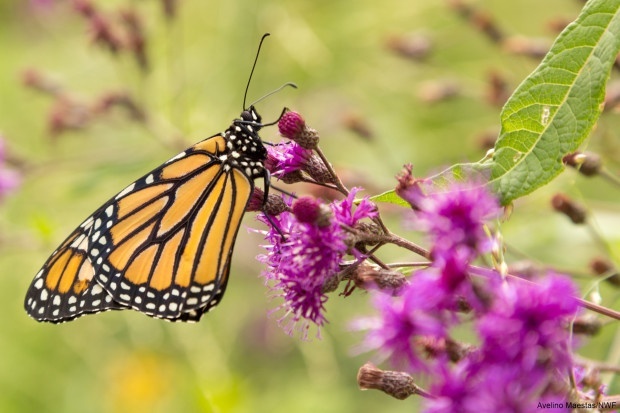 Help monarch butterflies and other fall migrants by becoming a wildlife gardener.